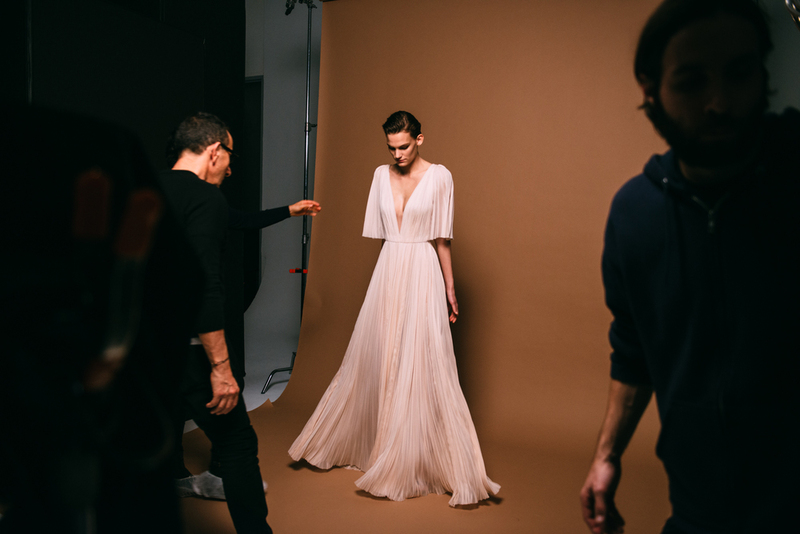 I also shot J. Mendel's Pre fall 2016 lookbook campaign. Getting to watch Daniel Jackson do his magic was an experience I will never forget. The set up at Pier 59 allowed me to capture a variety of scenes from the inspiration board, to Giles dressing the models, to touch ups on set. Photographing Giles in his element was a special moment to capture. He put his touch on everything. Personally dressing every model, fluffing the fur, and pinning the clothes. He is a very in tune designer, which is what I love about him and the brand.